Reluctance amongst Metro Vancouver* home sellers is impacting sale and price activity throughout the region’s housing market.Residential home sales in the region totalled 2,425 in February 2017. 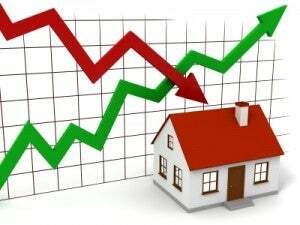 This is a 41.9 per cent decrease from the record 4,172 homes sold in February 2016 and an increase of 59.2 per cent compared to January 2017 when 1,523 homes sold.Last month’s sales were 7.7 per cent below the 10-year February sales average.February home sales were well below the record-breaking activity from one year ago and in line with our long-term historical average for the month. Limited supply and snowy weather were two factors hampering this activity.New listings for detached, attached and apartment properties in Metro Vancouver totalled 3,666 in February 2017. This represents a 36.9 per cent decrease compared to the 5,812 units listed in February 2016 and an 11.4 per cent decrease compared to January 2017 when 4,140 properties were listed.This is the lowest number of new listings registered in February since 2003.The total number of properties currently listed for sale on the Multiple Listing Service® (MLS®) in Metro Vancouver is 7,594, a four per cent increase compared to February 2016 (7,299) and a 4.9 per cent increase compared to January 2017 (7,238).The region’s sales-to-active listings ratio for February 2017 is 31.9 per cent, a 10-point increase from January. Generally, analysts say that downward pressure on home prices occurs when the ratio dips below the 12 per cent mark for a sustained period, while home prices often experience upward pressure when it surpasses 20 per cent over several months.While home sales are not happening at the pace we experienced last year, home seller supply is still struggling to keep up with today’s demand. This is why we’ve seen little downward pressure on home prices, particularly in the condominium and townhome markets.The MLS® Home Price Index composite benchmark price for all residential properties in Metro Vancouver is currently $906,700. This represents a 2.8 per cent decrease over the past six months and a 1.2 per cent increase compared to January 2017.Sales of detached properties in February 2017 reached 745, a decrease of 58.1 per cent from the 1,778 detached sales recorded in February 2016. The benchmark price for detached properties is $1,474,200. This represents a 6.5 per cent decrease over the past six months and is unchanged compared to January 2017.Sales of apartment properties reached 1,275 in February 2017, a decrease of 28.8 per cent compared to the 1,790 sales in February 2016.The benchmark price of an apartment property is $526,300. This represents a 2.3 per cent increase over the past six months and a 2.7 per cent increase compared to January 2017.Attached property sales in February 2017 totalled 404, a decrease of 33.1 per cent compared to the 604 sales in February 2016. The benchmark price of an attached unit is $675,500. This represents a 0.3 per cent decrease over the past six months and a 1.3 per cent increase compared to January 2017.